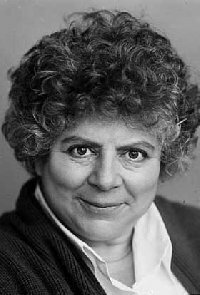 British actress Miriam Margolyes, who has appeared in numerous plays and films in Britain and Australia, was due to entertain residents at a Jewish Care old people\’s home on Tuesday. But late on Monday she got a call asking her not to turn up. She believes it is because she is appearing in a play titled Seven Jewish Children next week, organised by the lobby group Australians for Palestine. \”I wouldn\’t dream of appearing in anything that was anti-semitic, I loathe anti-semitism,\” she told AAP. \”But I equally loathe any fascist attempt to muzzle dialogue about the situation in the Middle East which is catastrophic. She believed the eight-minute play, also featuring prominent actor Max Gillies, had been labelled anti-semitic because it accused Israel of making mistakes in its dealings with Palestinians. The play features seven families and travels through history, starting with the Holocaust and finishes with a contemporary situation in Gaza. \”It\’s not in any way anti-semitic but it\’s highly critical of certain Israeli positions,\” Ms Margolyes said. She added if Jewish Care were to re-invite her, she would happily attend. \”I think it is one of our duties to be charitable and I\’m just terribly sad that I\’m not being given a chance to raise money for a Jewish old people\’s home,\” she said. Jewish Care provides a range of residential care along with support services for elderly Jews still living independently. Comment is being sought from Jewish Care.